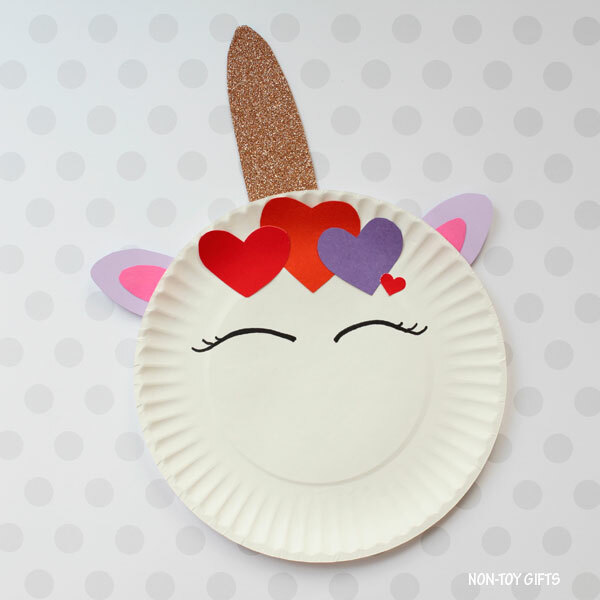 If you’re looking for an easy Valentine’s Day craft ideas, this paper plate Valentine unicorn craft is great for kids who love mythical creatures. 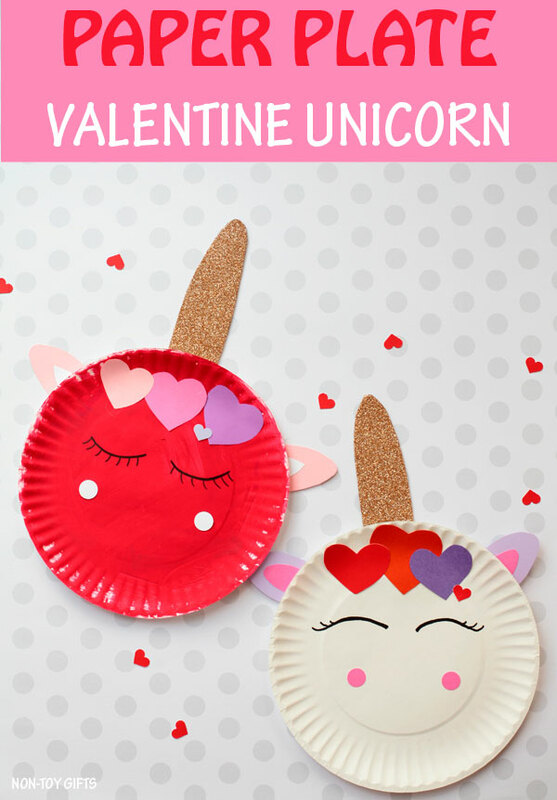 We have created seasonal unicorns before and with V-day around the corner, why not make a new one? Right? This time it will be a love unicorn. 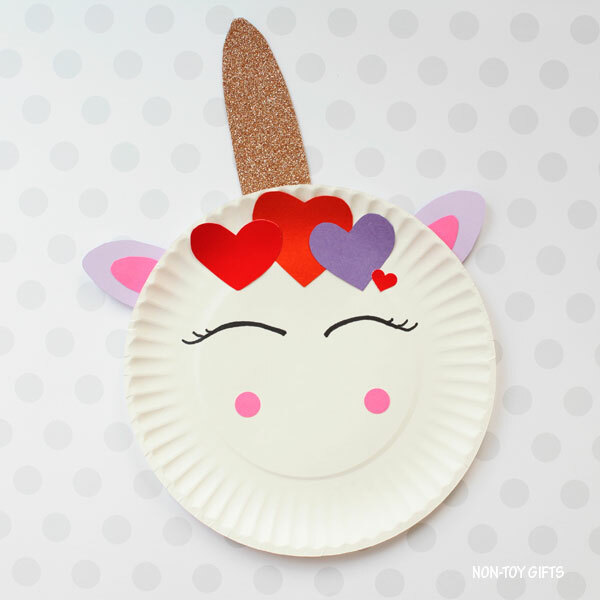 Because unicorns and hearts go together perfectly. 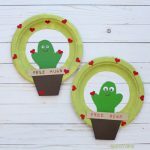 We love paper plate crafts and that’s why we try to incorporate paper plates in our crafts as much as possible. 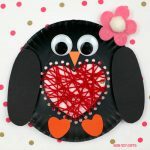 They are sturdy craft materials and easy for kids to handle. 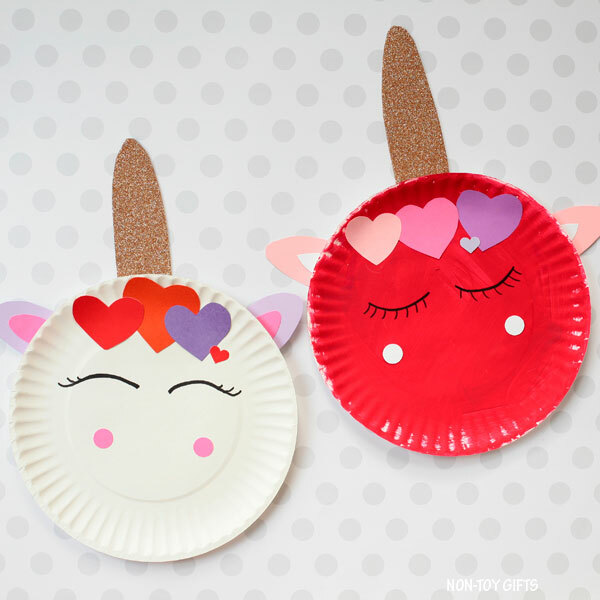 We made two versions of the Valentine’s Day unicorn. 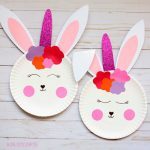 They are both very simple, like our entire collection of 100+ crafts for kids, it’s just that one unicorn has an extra step: painting. 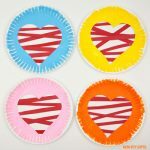 We painted one paper plate red and left the other one white. If you prefer a colored unicorn, you can also go for pink, purple or any other color that your child loves. We created our paper pate Valentine unicorns as part of 31 Days of Love series on Red Ted Art. 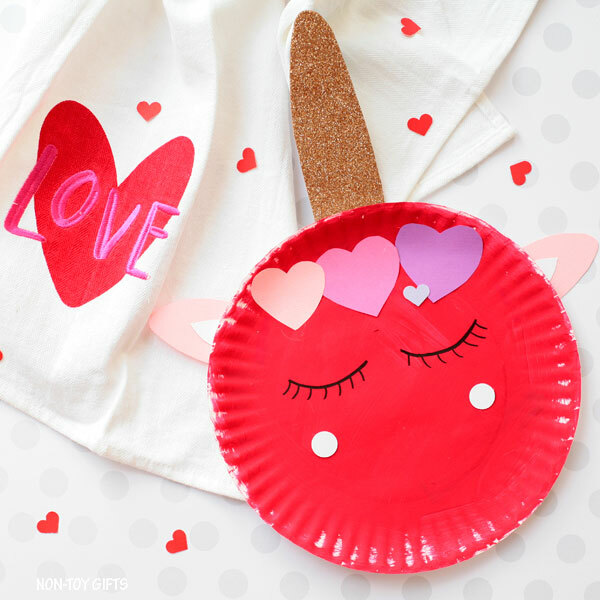 Head over there for more adorable Valentine craft ideas. If you want to make a colored unicorn, start by painting the paper plate red , pink, purple or any color of your choice. 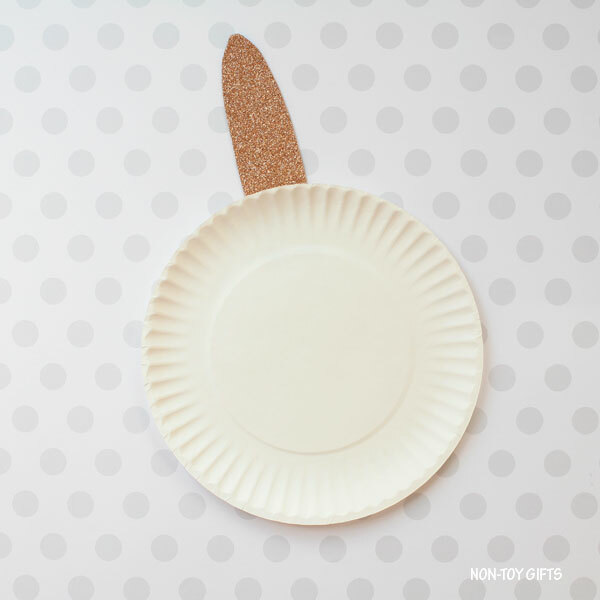 Set the paper plate aside and let it dry completely. 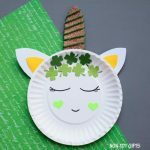 Use a pencil to trace the unicorn horn on glitter foam and cut it out. 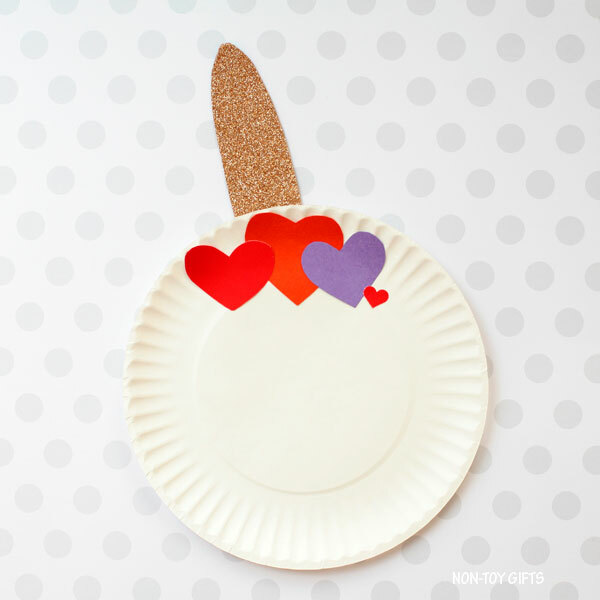 Glue it to the back of the paper plate. 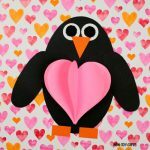 Draw a few hearts on colored paper. 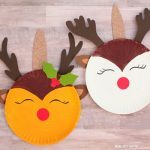 Cut them out and glue them on the paper plate, underneath the horn. If you have a heart punch, you can use it. I have a small one and so I was able to add a cute little heart to the heart bouquet. Trace the ears and the ear details on colored paper, cut them out and glue them together. 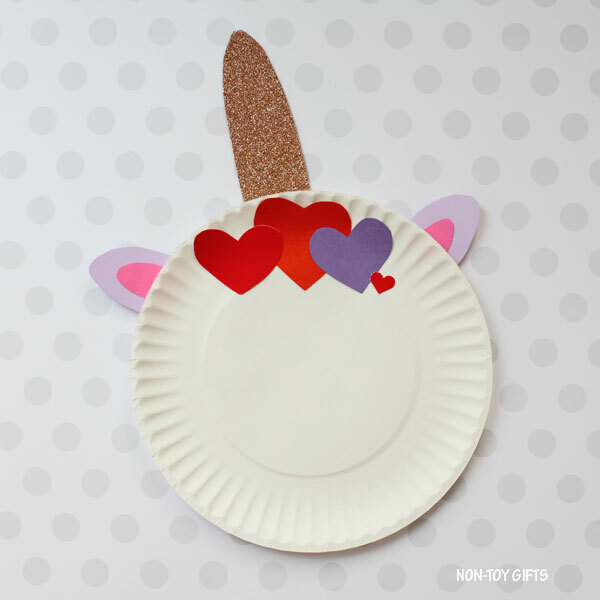 Add the ears onto the paper plate, one ear on each side. Draw the unicorn’s sleepy eyes with a black marker. You can make the eyelashes go up or down. I think both look cute. Use a small circle punch to make two circles and glue them under the eyes, one on each side. 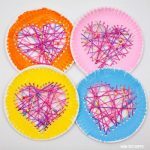 Draw a few hearts on colored paper. 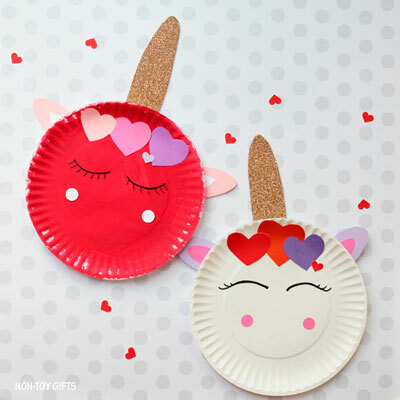 Cut them out and glue them on the paper plate, underneath the horn. Use a heart punch if you have one. Draw the unicorn’s sleepy eyes with a black marker. You can make the eyelashes go up or down.